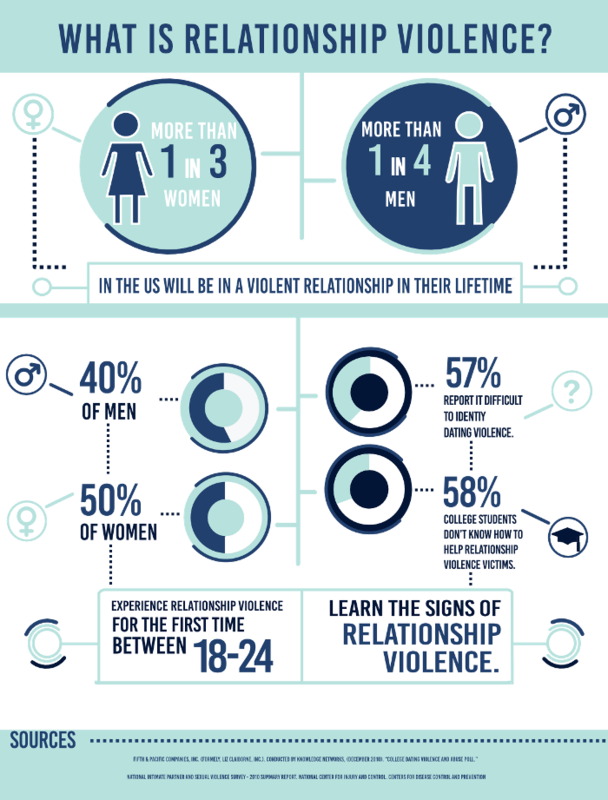 Relationship Violence takes many forms and includes Domestic Violence/Intimate Partner violence (IPV), and Dating Violence). 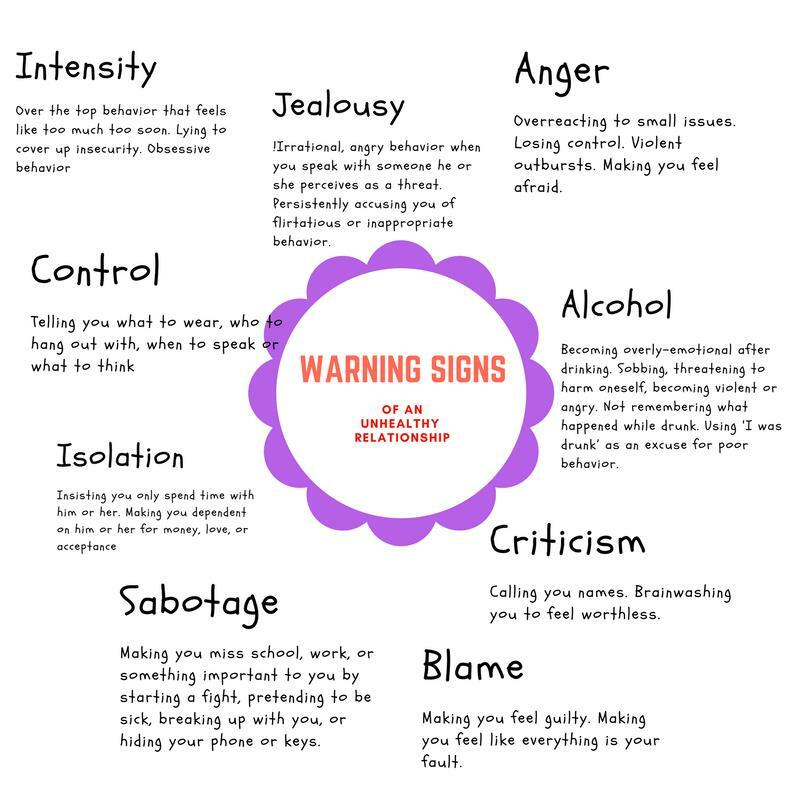 Relationship Violence is a pattern of behaviors used by one partner to maintain power and control over another partner in an intimate or dating relationship. Relationship abuse does not discriminate. Anyone of any race, age, sexual orientation, religion or gender can be a victim - or perpetrator. It can happen to people who are married, living together or who are dating. It affects people of all socioeconomic backgrounds and education levels. Relationship violence includes behaviors that physically harm, arouse fear, prevent a partner from doing what they wish or force them to behave in ways they do not want. It includes the use of physical and sexual violence, threats and intimidation, emotional abuse and economic/financial deprivation. 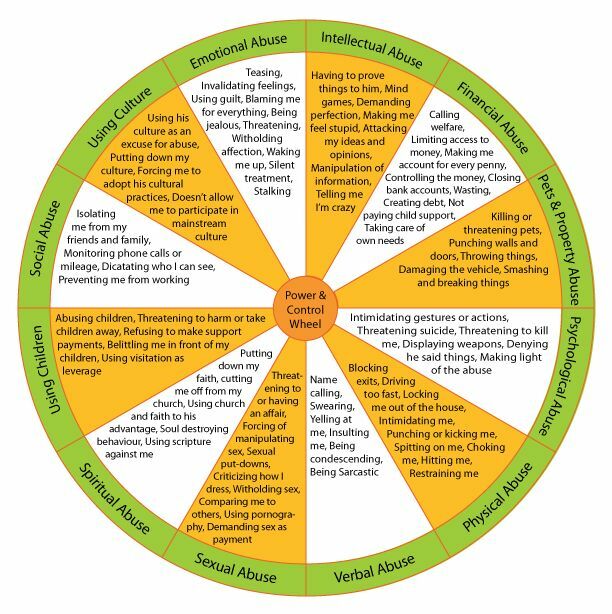 Many of these different forms of abuse can be occurring at any one time within the same relationship. 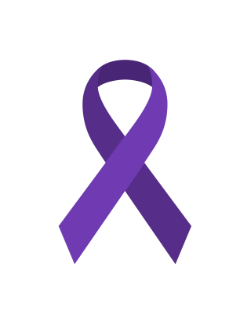 Intimate Partner Violence (IPV) of domestic violence stems from a desire to gain and maintain power and control over a significant other. Abusive people believe they have the right to control and restrict their partners, and they may enjoy the feeling that exerting power gives them. They often believe that their own feelings and needs should be the priority in their relationships, so they use abusive tactics to dismantle equality and make their partners feel less valuable and deserving of respect in the relationship. It's not always easy to tell at the beginning of a relationship if it will become abusive. In fact, many abusive partners seem absolutely perfect in the early stages of a relationship. Possessive and controlling behaviors don't always appear overnight, but rather emerge and intensify as the relationship grows. Intimate Partner Violence doesn't look the same in every relationship because every relationship is different. But one thing most abusive relationships have in common is that the abusive partner will often attempt various tactics to gain more power and control over their partner. Ask questions. Educate yourself. Talk about it. No matter the behavior, if a relationship makes you feel nervous, unsure, upset, confused, or overwhelmed, those are signs that something isn't quite right. If your gut tells you "something is a little bit off," do not ignore this-really think about it, and ask friends, family, teachers, and counselors for input on next steps. This powerful graphic helps to visualize the tactics an abusive partner may use to keep their victim in a relationship. No matter why it happens, abuse is not okay and it's never justified. Abuse is a learned behavior. Sometimes people see it in their own families. Other times they learn it from friends or popular culture. However, abuse is a choice, and it's not one that anyone has to make. Many people who experience or witness abuse growing up decide not to use those negative and hurtful ways of behaving in their own relationships. While outside forces such as drug or alcohol addiction can sometimes escalate abuse, it's most important to recognize that these issues do not cause abuse. What is a Protective Order? What is a Peace Order? Which one? A protective order is a civil court order by a judge that protects eligible victims/petitioners of domestic violence or IPV from abuse by ordering the abuser/respondent to stay away and have no contact with the person who is being abused or threatened. A Protective Order is not a criminal proceeding, it is a civil case. However, a person who violates a protective order is committing a crime and may be charged criminally and be subject to arrest and prosecution. A peace order is a civil court order that protects other victims of abuse who are not eligible for a protective order. To obtain an order of protection, an act of abuse must have occurred. What is an act of abuse? Some people get a Peace or Protective Orders because they want the abuse to stop immediately and they need the courts to help clarify issues about the house, children, and financial support. While most survivors find peace or protective orders helpful, getting an order will not necessarily stop someone from coming near you or harming you, and in some situations may make them more angry and dangerous. You may still need to go to a shelter or other safe place even if you have a Peace or Protective Order. BUT the Order gives police greater ability to respond if the Order is violated. Even if you do not get a Peace or Protective Order, you may have other legal cases (divorce, custody, or criminal) with your partner. Even when courts are closed, you can still get a Protective or Peace Order! On weekends, holidays, and at night, you can get an "Interim" Protective or Peace Order from your local District Court Commissioner. These remain in effect for a few days until the courts are open, when another hearing is scheduled to grant a "Temporary" Protective or Peace Order, which can last for one or more weeks. After that, a hearing for a "Final" Protective or Peace Order is scheduled, which lasts from six months to a year, and sometimes longer. Stay away from the kitchen where the abuse has access to weapons. Stay away from bathrooms, closets, or small spaces where the abuser can trap you. Get to a room with a phone to call 911 for help. Take pictures of bruises, scrapes, cuts, etc. What should I pack? Safety checklist. Obtain a Protective Order. Keep a copy on you, near door, with family member/neighbor/at work, in your car. Give a copy to children’s school. Get new phone with a different number. Know your neighbors and inform them your abuser is not allowed near your home. Install security lighting, if possible. Install alarm system, if possible. Make sure your children know how to call 911. For a downloadable version of the above Checklist, click here.